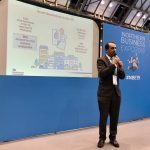 Small Business Commissioner, Paul Uppal, will be speaking at this event on Wednesday 13 March at 14:30 – 15:00 in the Keynote Hall. 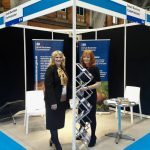 The Northern Business Exhibition is held over 2 days, is free to attend and offers unparalleled advice and opportunity for business and personal development within a challenging economic climate. It is the go-to event for anyone starting or growing a business as well as for business professionals looking to improve skills and develop key relationships through networking.